This is quite possibly the most comprehensive verse by verse treatment of the Book of Revelation ever written. David Chilton has tackled what Calvin and Luther never even attempted. Following in the train of thought of his Paradise Restored, Chilton sees the Church triumphant to the end with Satan defeated at the return of Christ. The Apostle John presents a vision of victorious Christians who overcome all opposition through the work of Jesus Christ. Chilton asserts that for too long the Church has labored under the delusion that failure is her only role in the world. An inviting, yet non-threatening commentary for the layman as well as the scholar. From the very beginning, cranks and crackpots have attempted to use Revelation to advocate some new twist on the Chicken Little Doctrine: “The Sky Is Falling!” But, as David Chilton shows in this careful, detailed exposition, St. John’s Apocalypse teaches instead that Christians will overcome all opposition through the work of Jesus Christ. Most of the confusion over the meaning of the prophecy has resulted from a failure to apply five crucial interpretive keys to the Book of Revelation. 1. Revelation is the most “Biblical” book in the Bible. St. John quotes hundreds of passages from the Old Testament, often with subtle allusions to little-known rituals of the Ancient Near East. In order to understand Revelation, we need to know our Bibles backward and forward (or, at least, own a commentary that explains it!). 2. Revelation is a prophecy about imminent events – events that were about to break loose on the world of the first century. Revelation is not about nuclear warfare, space travel, or the end of the world. Again and again it specifically warns that “the time is near!” Revelation cannot be understood unless this fundamental fact is taken seriously. 3. Revelation has a system of symbolism. Everyone recognized that St. John wrote his message in symbols. But the meaning of those symbols is not up for grabs. There is a systematic structure in Biblical symbolism. in order to understand Revelation properly, we must become familiar with the “language” in which it is written. 4. Revelation is a worship service. St. John did not write a textbook on prophecy. Instead, he recorded a heavenly worship service in progress. One of his major concerns, if fact, is that the worship of God is central to everything in life. It is the most important thing we do. 5. 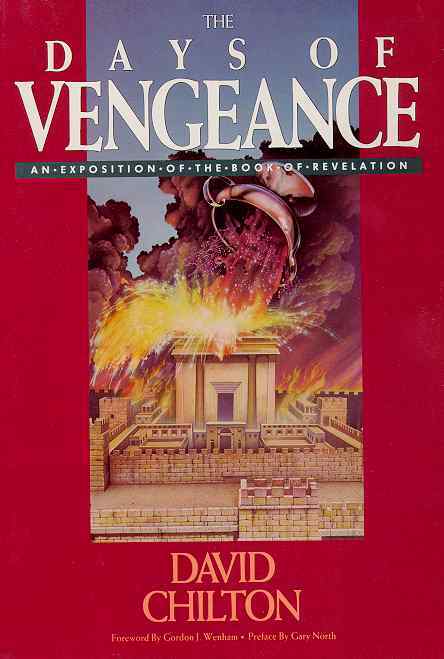 Revelation is a book about dominion. Revelation is not a book about how terrible the Antichrist is, or how powerful the devil is. It is, as the very first verse says, “The revelation of Jesus Christ.” It tells us about His lordship over all; it tells us about our salvation and victory in the New Covenant, God’s “wonderful plan for our life”; it tells us that the kingdom of the world has become the Kingdom of our God, and of His Christ; and it tells us that He shall reign forever and ever.